I've made a French version of a homemade yogurt recipe. In French I would call it yaourt brassé à la conserve de kumquat au sirop et au nectar d'agave. 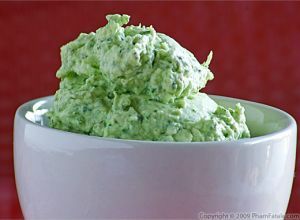 I got the recipe from a close family friend named Jeannie. She was born and raised in Vietnam and moved to America a decade ago. She always tells me how her family struggled during the Vietnam war, and how she had to learn how to preserve food and make a lot of stuff herself. I love her homemade yogurt and the recipe is quite easy. No need to spend big bucks on a yogurt machine. All you need is a few yogurt jars (or use baby food jars), a big cooler and a warm day. 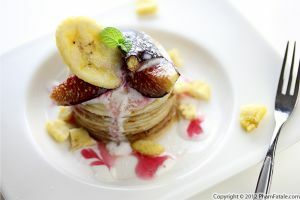 The result is creamy and sweet. I added some agave syrup that I got from my last trip to Florida and some kumquat preserves from our orchard. I still have probably 2 batches of kumquats that need to be picked. I've made some kumquat marmalade already, some caramelized kumquats for a green salad and some baby zucchini-kumquat relish that I served with some fish. 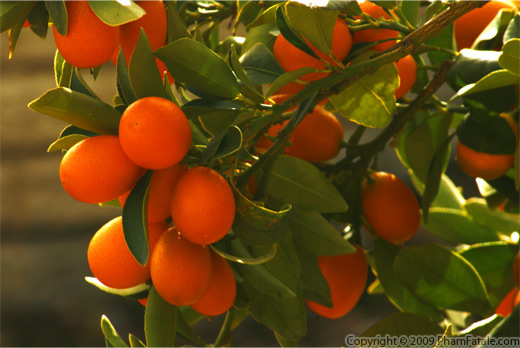 If you guys have any suggestions on recipes that use kumquats, I'm all ears. Do not hesitate to leave me a message. 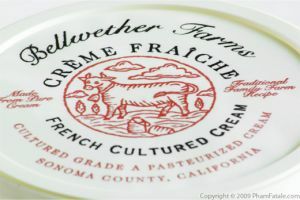 I miss French yogurt. I remember in the supermarkets in France, there were probably 2 or 3 long aisles of dairy products like mousses, yogurts, crème caramels, flans, etc.I tell Lulu all the time that when I'm pregnant I want to go back to Paris and gorge myself on delicious French food to make sure our baby is a chubby wubby. Attention: The measuring tool in this recipe here is the can of the condensed milk. Place all the yogurt jars in the cooler. Measure the amount of water you would need to fill up the cooler up to 1 1/2 inch below the top of the yogurt jars. Write down or remember the exact amount of liquid needed. You'll need to use 1 part warm tap water and 2 parts boiling water later in the recipe. Sterilize all your utensils. Fill a big pot of water and bring to just under a boil. Line the bottom of the pot with a piece of cloth so the jars does not move or break. Place the yogurt jars, the lids and tongs in the pot, cover with a lid and let it boil for 10-20 minutes. Transfer all the items using tongs (jars face down to drain the water) on a clean kitchen towel. Dry everything with a clean towel. In a saucepan, bring 2 cans of water to a near boil. You can optionally add 1/3 cup of milk powder to the water to get a creamier consistency in the final product. I did not use it this time as I was running out of milk powder. Dissolve the condensed milk in the hot water. Stir with a wooden spoon. Let the milk cool down to about 122°F then add the store-bought yogurts, 2 1/2 cans of cold water and fresh milk. Allow the yogurt bacteria to incubate. The temperature should not exceed 130°F or the lactobacilli bacteria that curdles the milk will die. Transfer all the mik mixture to yogurt jars, plastic-wrap each individual jar and place them all in the cooler that can host all the jars. Mix one part warm tap water and two parts boiling water. The amount of water needed is what you measured previously. Mix the warm and boiling water in a big bucket and fill up the cooler. The temperature of the water bath should be approximately 98°F. Let the jars rest in the bath for at least 8 hours. The longer you wait, the more tart the flavor you will get. During the winter time: wait for more than 12 hours. Usually start at 7pm and remove at about 9am the next day. During the summer time: wait for about 9 hours. I start at 10 am and it's done by 7 pm on the same day. 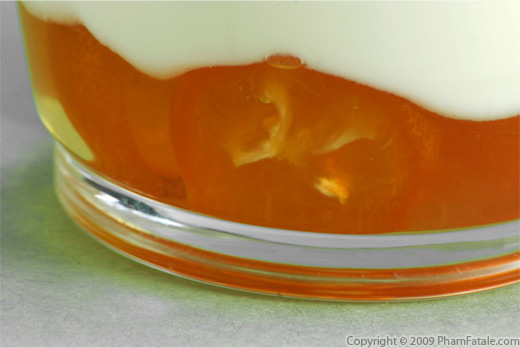 A yellowish liquid (whey) will form on top of the yogurt. Remove the whey, cover the jar with its lid and store the jars in the refrigerator for at least 4 hours. The temperature of your refrigerator should be about 40°F. The cold will slow the growth of the yogurt bacteria but will not kill them. 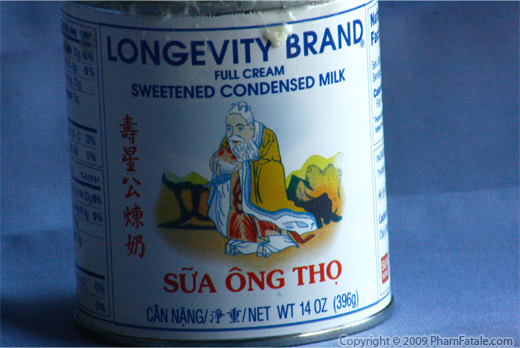 You could eat the lightly sweetened yogurt now as is. If you want to fancy it up a bit, after processing and refrigerating the yogurt, transfer the contents of one jar (or as many as you want) into a bowl. 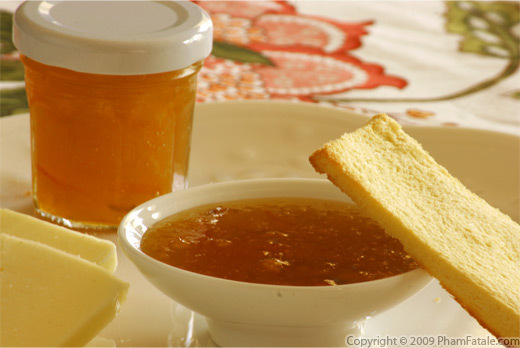 Sweeten the yogurt to taste with agave nectar and the syrup of the kumquat preserves. Fill up new yogurt jars with kumquat preserves and a little bit of its syrup and fill up the rest of the jar with the yogurt. 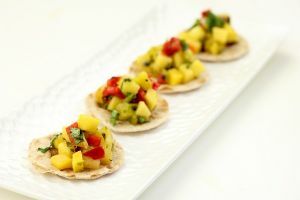 Cover with the lid and store in the refrigerator or eat immediately. Attention! The measuring tool in this recipe here is the can of the condensed milk. 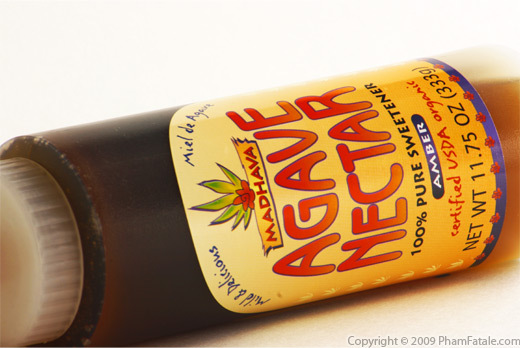 Agave nectar, sometimes called agave syrup, is a natural sweetener. In France, it's called Agave honey. Unlike honey, agave nectar has a long shelf life and does not crystallize over time. Agave nectar is made out of the purified sap of cactus-like desert plants. It is very popular in Mexico. It is not heated during production and is considered raw, which make it very healthy like raw honey. Unlike raw honey, agave nectar is easy to spread beacuse of its consistency. The addition of a ready-made yogurt (starter) will help curdle the milk. I usually use the Dannon brand plain yogurt or Greek style or Iranian yogurt. Also make sure you pick the freshest yogurt (check the expiration date) to get a strong yogurt bacteria.You can also save one of the homemade yogurt you just made and keep it for your next weekly yogurt batch . 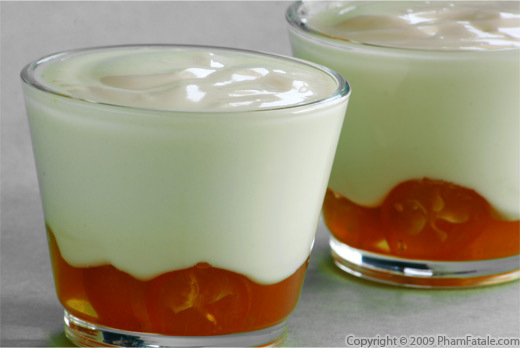 The yogurts can be kept up to a week (plain yogurt without the kumquat preserves) in the refrigerator or stored in the freezer for up to 6 months. 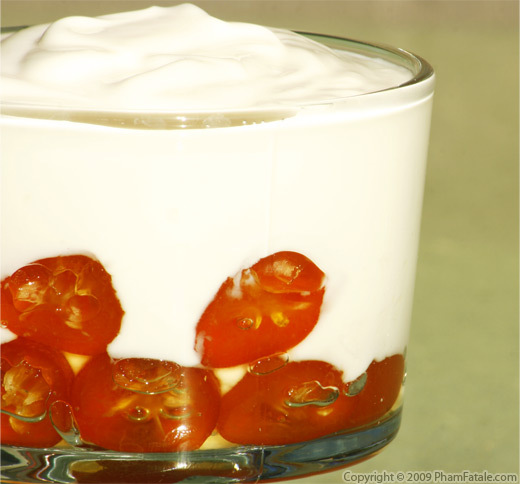 Home-made yogurts have a lot of advantages. You know what is in your yogurt, it's all natural, no chemical thickening agent, emulsifiants, no preservatives, artificial flavors, gelatine and food coloring. I strongly recommend that you read The Omnivore's Dilemma by Michael Pollan. Your food will never again look the same, please check the ingredients list on the products you buy. The other good thing is you're going to reduce your carbon foot print by polluting less with homemade yogurts, no need to create more trash that needs to be recyled. My husband Lulu is a vegetarian. He's a vegetarian for taste reasons though but we just discovered that store-bought yogurts contain pork gelatin, originally from the bone and the skin of the pig. Yuck. If you don't own a big enough cooler, you can use a regular large bucket and fill it with warm water but make sure it's a very warm/hot day to get a good consistency. You'll have to "seal" the bucket with several layers of plastic wrap and then cover it with aluminum foil. I usually use the giant cooler that we have for summer picnics. It's so much more convenient. 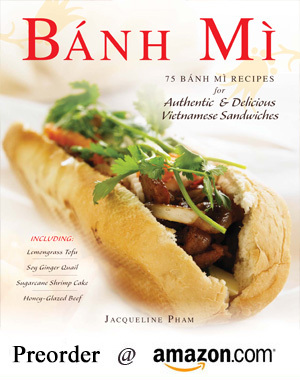 Published By: Jacqueline Pham on March 15, 2009. How long a homemade yogurt last in the fridge? I have yet to find a commercial yoghurt that tastes as good as homemade. This looks fabulous.